Does your home, shop, store or business unit in Peterborough require a roller shutter installation? If you are looking for a professional, well-established company offering roller shutter installation, look no further. Armor Shutters are experts in the installation of various exterior fixtures, including roller shutters, for your property and business units. You can choose from a wide range of materials and colour options to suit your taste. 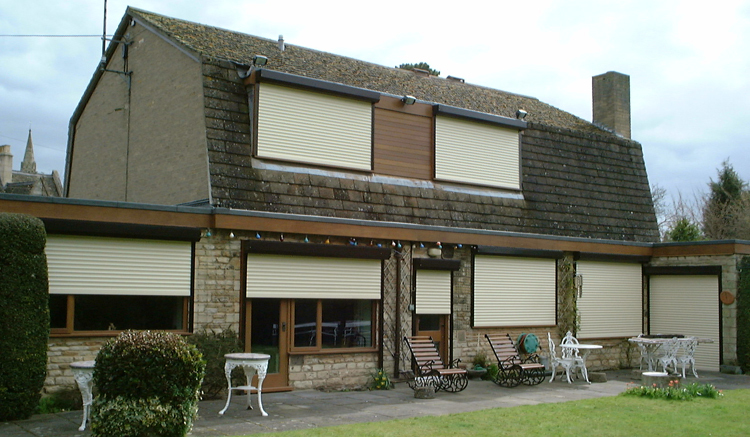 For higher levels of security, we can also provide you with our exclusive range of security shutters. Trust our specialists for the supply and fitting of only high quality products. We have been in the trade for a good number of years, are FENSA registered and are also a member of CPA (Consumer Protection Association). Our friendly team of experts are highly qualified and will provide professional and reassuring support every step of the way. For more a free quote, please contact us today. For professional and prompt roller shutter installation in Peterborough and the surrounding areas, contact Armor Shutters.